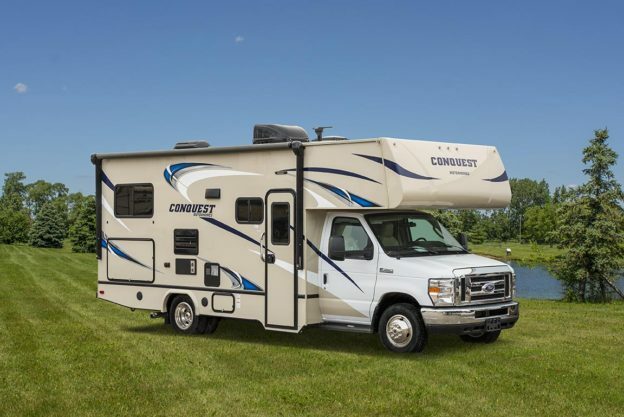 In response to numerous requests from Vintage Cruiser fans and dealers, Gulf Stream Coach just announced the release of two new Bunkhouse Floor Plans – The 19BFD and the 23BHS. While sharing many of the specifications of other Vintage Cruiser 19- and 23- ft models. 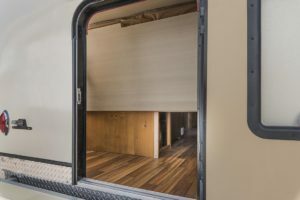 the two new arrivals both include upper and lower 28″ x 74″ bunks for visitors, guests, children, grandchildren, or pets. 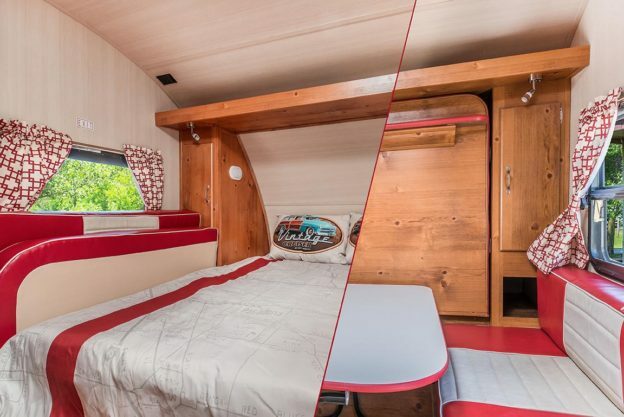 In addition to the bunks, both floor plans also take advantage of one of the most versatile approaches to combining living space with sleeping accommodations – A Murphy Bed! 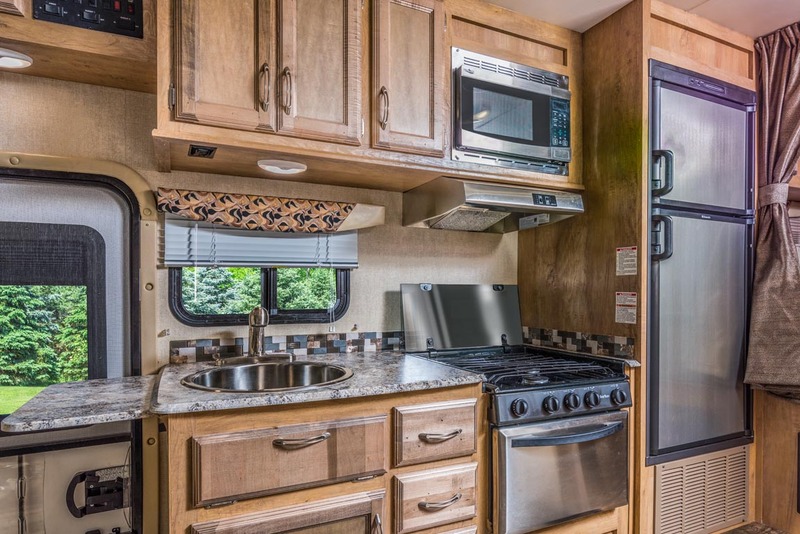 In the 19BFD, a roomy dinette, flanked with picture windows, fills the front of the trailer. With a few simple adjustments, when it’s time to turn in, a Murphy Bed folds open across the dinette, providing a flat, comfy 60″ x 74″ bed that. It’s not a collection of dinette cushions – it’s a real bed! 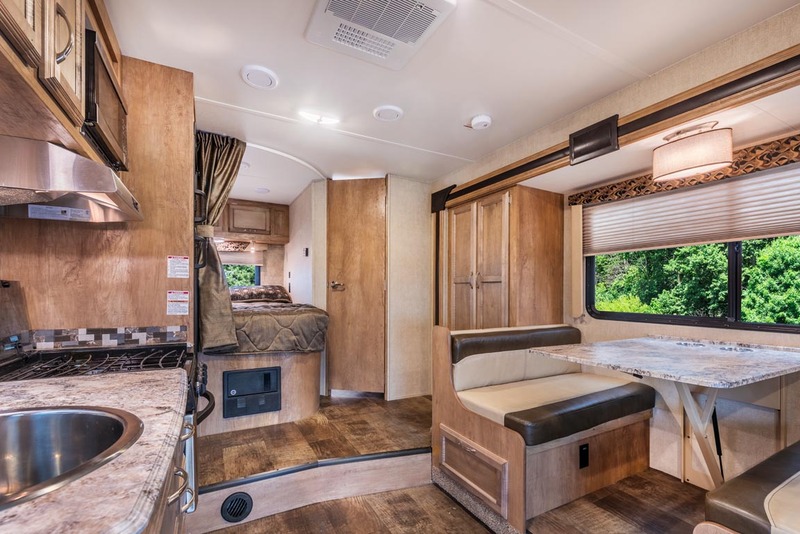 In the 23BHS, the dinette is in a slide-out, so the Murphy Bed opens across the front sofa, providing a flatter, firmer, more comfortable sleeping surface than any sofa-bed. The 19BFD has another trick ‘up its sleeve,’ too: Take a look at the image on the left, or at this early picture gallery of the new 19-footer. Notice the big “Bike Door” in the rear wall of the trailer. Open it and you’ll see that the bottom bunk is hinged to fold up out of the way, making room for all kinds of camping cargo. Even bikes will fit inside. 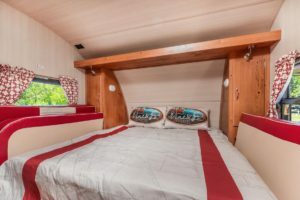 Notice too that the space under the bunk is open through to the main living area, making it possible to carry really long cargo, including fishing gear, skis, paddleboards, and even some kayaks. It’s ingenious! 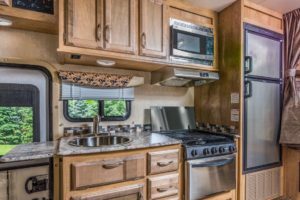 Both new Bunkhouse floor plans are available with the now-famous teal-and-cream, crimson-and-cream, and “Woodie” Estate Wagon decors, and both feature the rigid, rock-solid, feather-light laminated walls and one-piece roof that made Vintage Cruiser the market leader. It’s exciting to see that the Vintage Cruiser idea people are still looking for more and better ways to fulfill the needs and wants of camping families. 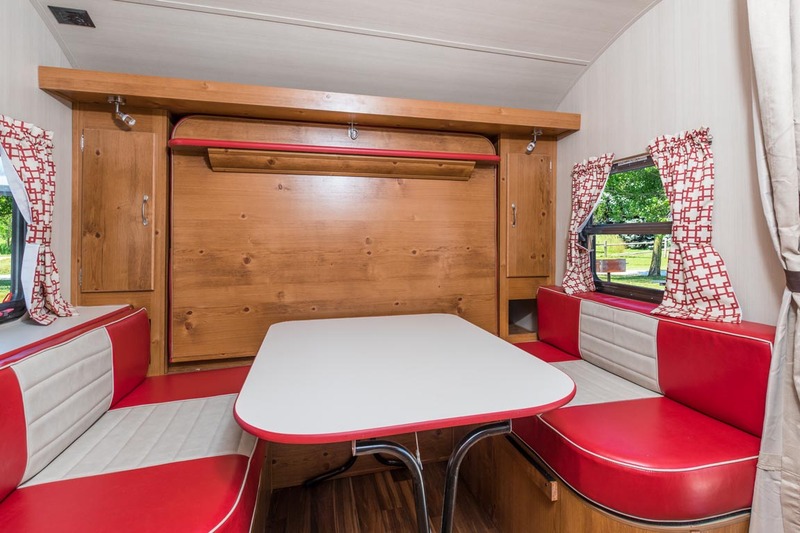 Make sure you get a close look at all six Vintage Cruiser floor plans when you start shopping. One is sure to be just right for you. This entry was posted in News, Product Update and tagged 19BFD, 23BHS, Bunkhouse, Murphy Bed, Vintage Cruiser on April 14, 2017 by pcampbell@gulfstreamcoach.com.